Regrettably I have a huge gap of days in my MMM project album. Thank you very much for your help, and for your response to the last blog post. Please check what I wrote in it if you haven't read it, as there are still some days before the ruffle is closed. I am greatly thankful, not only for your donation, but also for all your kind attitude. It is helping us in every sort of ways to recover, I hope you understand what I mean. To know that we have your helping hands makes us positive and the situation inevitably better. Today I'm going to share with you a tutorial post for making an easy straight neck T shirt. I prepared it some time ago, but I didn't think anyone would like it. I thought so because it was too simple to impress you sewing nerds. But I'm changing my mind. I think you might like it, for a change. 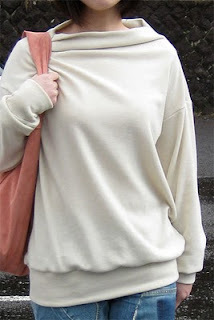 I've been inspired by the construction of neckline of Wilma pullover and adopted it to the common T shirt. They use the extended bodice as a self-facing. 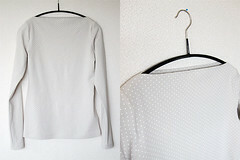 This type of neckline doesn't require any binding finish, and thus it is technically very easy to make. I also found this straight neck T was more feminine than common crew neck Ts on me, which was a bonus. 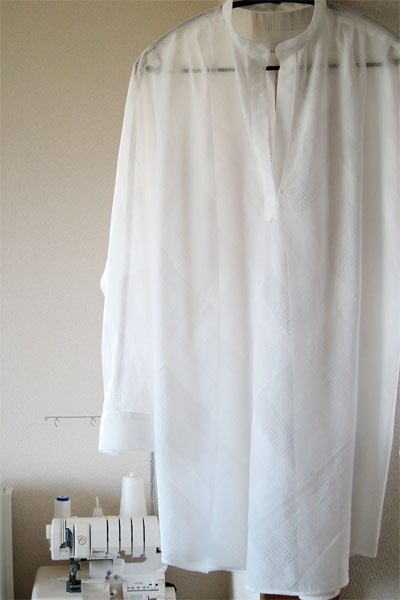 What we have to do for clean appearance is being careful to choose fabrics that don't roll up at edges too much, because the self-facing will not be sewn or fixed to the bodice. You need to be ready with your own favorite pattern for common type of T shirt. 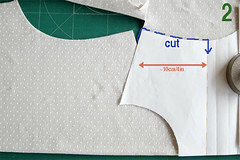 Cut bodices with the fabric on fold, but leave some of shoulder line and whole neck line uncut. Note that the neck opening will end much nearer to the front center than the point where cutting is stopped. 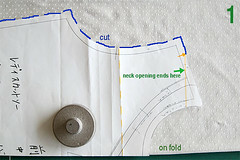 Flip the pattern horizontally on the fabric with the fulcrum at the neckline, and continue cutting like tracing the mirror image of bodice until reaches about 10cm/4in in length. This mirror image area will be a self-facing. 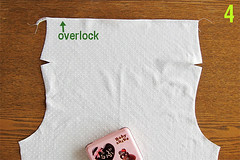 Overlock the straight edge of self-facing. With the fabric right sides of the front and back piece facing, sew shoulder seams and clip the seam allowances towards the point of neck opening ends. 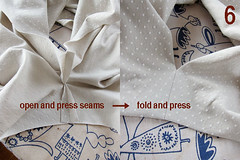 Open and press seam allowances, neaten self-facings before sleeves attached. 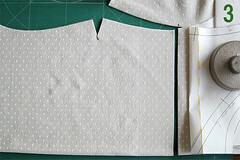 Attach sleeves, close side seams and finish as desired. 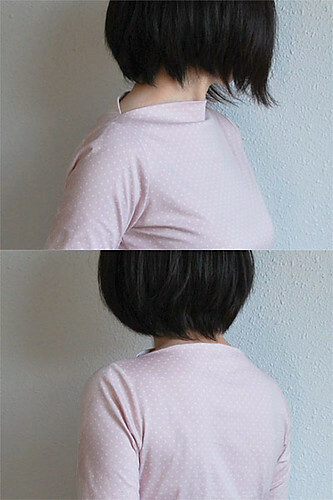 This neckline is least revealing and most unsensational, but I think the top looks feminine and lovely when on human. You can't see it much in my pictures, though (sorry). Thank you very much for your concerns. *This article is translated by my friend, Hiro, who always supports me. I hope my message will reach your heart million times more clear than usual. Thank you very much all your kind comments and encouragement. I apologize that I was not able to reply each of your comments. After the quake, Japan is facing a lot of difficulties. In order for people to maintain a peaceful life, we need to make so much effort by working together. I believe we can do it, because we won’t give up. However, right at this moment, there are people who need immediate help. They are the people who were living in the area where the quake hit. There are so many people who are still looking for their families, lost their houses, suffering from cold and hunger. It is not helpful that each individual goes to the disaster area and uses the resource and sing loud songs of encouragement. Right now, professionals should bring help and goods to the victims. We are making effort for that. I would also like to ask for your help. Please give a donation. Other than asking for the donation, I have one more thing to ask of you. If you donate, please also leave your comment here. Your comment will be the raffle ticket. I will pick one person on 26th/March/2011 and give away my favorite sewing notions. I will make one package and mail it to you. 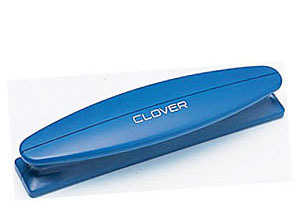 1) Tool for opening and pressing the seam. It is convenient to use it for the area you cannot press with iron. 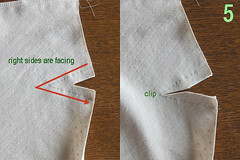 2) In centimeter, I use this when hemming, adding seam allowances, checking button sizes...and, actually, all the time. 3) This is good tool for those who use rotary cutters. 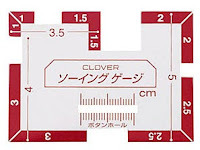 You can grip the ruler/template tightly. This does not stick to the tool permanently. You can remove it and use it to other tool as well. For donation, you may use JustGiving. The donation will be used for Japan earthquake and tsunami help through Civic Force. Besides, Tamanegi-Kobo is also planning charity sale. They are going to sell 2000yen worth of points for 1000yen, and they are going to donate all of these proceeds to Japan Red Cross. You can only purchase these points during the charity sale time and only 70 purchases are available while they last. They accept payment via Paypal and credit card through Paypal. Of course, if you have already donated to other organizations, please also leave your comment here. This is my personal appreciation to all of you. Again, thank you very much. I hope you understand how much encouragement I have received from you all. Please also pray for me so that I might start feeling like I want to sew again. Kristen was picked in the raffle as the winner. I am very thankful to you all for your kind concerns. Thank you for those who sent me a message and comment after the earthquake in Japan. I just want to let you know I'm OK and safely staying with my family at home. I appreciate your concern very much. I'm very silently starting my Me-Made-March 2011 project. I'm not going to put my photographs for the project here, but you may visit Me-Made-March '11 Flickr group if you would like to have a look at the participants' achievements including mine. It's a mermaid skirt with 6 panels. 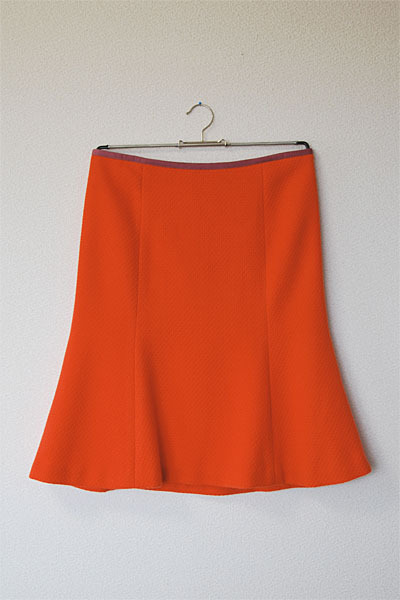 Yes, we call this type of skirts "mermaid skirts" in Japan, but I'm not sure how you call them in English speaking countries. Mine is a mid length skirt, but some of you may feel mermaid skirts need floor length. My one doesn't have exaggerated ruffle fins either. It has only humble flutters around its hem. 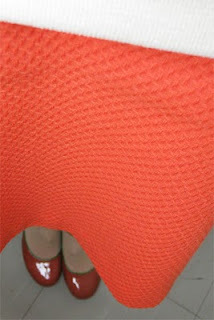 A flared 6-panel skirt, perhaps? Whichever, I'm sure nobody would call it mermaid skirt anyway. 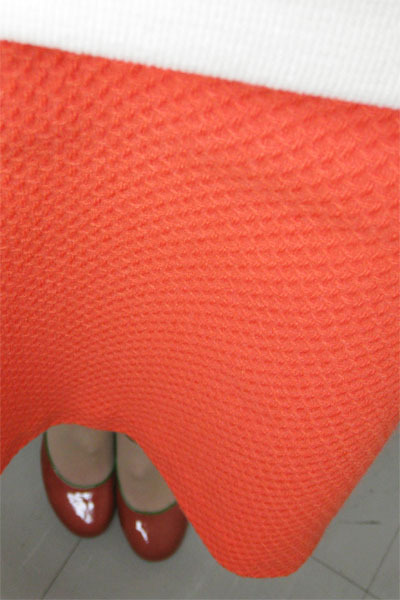 It's an orange skirt, because of this noticeable color. I made the top too. It's a loose bottle neck top made from a tunic dress pattern. I intentionally chose size 42, which was bigger than my measurement(38), and shortened the pattern to make it a big casual pullover. Because the pattern is made to give a large unfitted shape with drop shoulders, I assumed that there wouldn't be problems with making it in much larger size to wear it as a very baggy top. Actually, I think it looks as I planned. size40, down graded to 38. Fully lined. 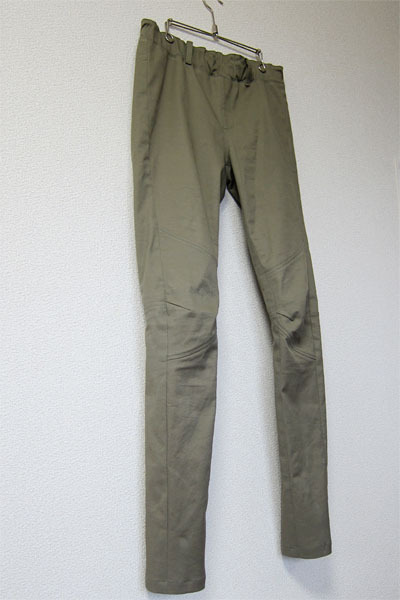 size 42, shortened by 25cm in total. 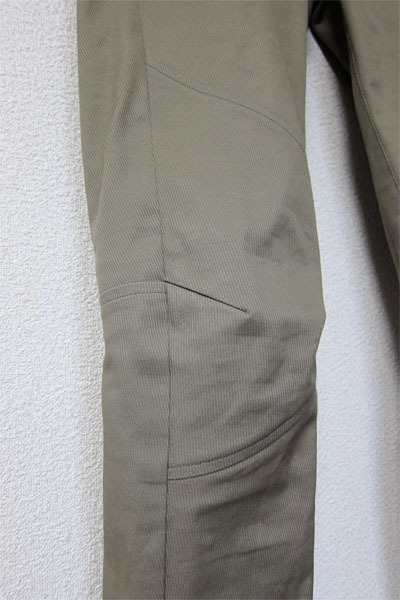 Cuffs and a hem band were attached. 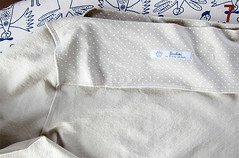 fabric: cotton/polyester gray-ecru jersey, warm, light, mid-bodied, soft and slightly fluffy like peach skin.